With HTC Salsa you can instantly share photos, videos and more to your close ones, with a dedicated Facebook® share button. With integrated Facebook chat, the HTC Salsa lets catch-up with your friends whenever you like. Facebook widgets keep you up to speed by showing your friends' latest status updates. Plus, the calendar updates you with upcoming birthdays and events. With the HTC Salsa, you can stay connected with the people that are most important to you. The new Facebook widget lets you select the friends and family whose updates really matter, so you can always see them right on your home screen. Stay close even when you're apart. One touch to share what you're up to. 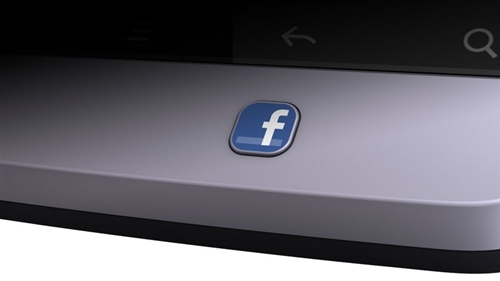 HTC Salsa has a Facebook button that lets you share just about anything with just one touch. Take a photo - straight to Facebook. Make a video - straight to Facebook. Show whatever, whenever, at the touch of a button. Your Facebook chat widget lets you know when any of your Facebook friends are online, wherever they are in the world. So you can say hello to an old friend, ask a trusted buddy for advice or share a joke with a colleague, whenever you feel like it. 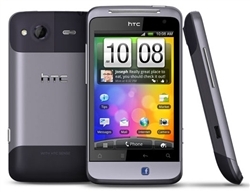 HTC Sense is an experience designed around many little insightful ideas. Ideas that seem so simple, you think "why hasn't any one else thought of that? It just makes sense." It's a phone experience full of lots of little surprises, delighting you every time.